Have you made your Christmas list already? I'm sure you did, ganyan tayong mga practical mommies, always ready. If I am not mistaken, some of you may have started their Christmas gifts shopping as early as last month, right? Or whenever there are sales in malls or bazaars, some would buy gifts in advance for their loved ones. Sayang kasi if you let go of the sale right? Personally speaking, I just recently started shopping for Christmas gifts at one of my favorite stores, National Book Store. My favorite because for me, it's a one stop shop for everything I need for school and office essentials, and even for finding meaningful gifts this Christmas. Let me take you through their SM North EDSA branch, which was newly renovated and I believe one of their biggest branches in the metro. 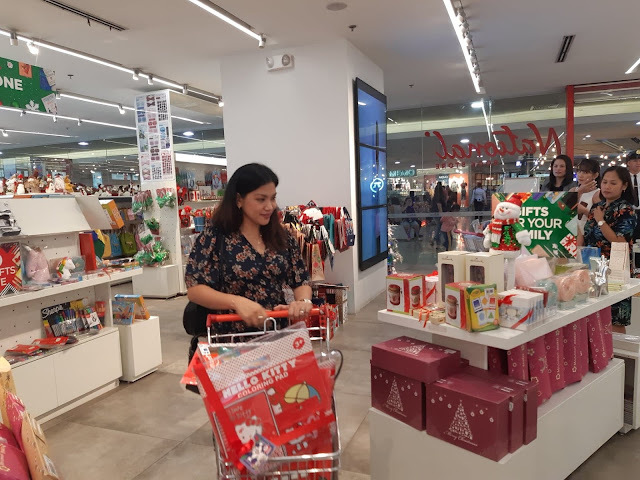 National Book Store is already Christmas ready, with great gift finds perfect for your husband or wife, brother or sister, inaanaks of all ages, friends and officemates. What's so nice is if you look around, you'll find something which fits your budget. You don't need to go store hopping to find the right gift for the person on your Christmas gift. You could find them 99% of them, if not all, at National Book Store. Christmas Zone - where you will find customizable items such as notebooks/journals, pens and pencils, note cards or money envelops, gift wrappers, and even wallets and pouches too. Here you'll also find the Books Of The Year placed in a Christmas book tree. 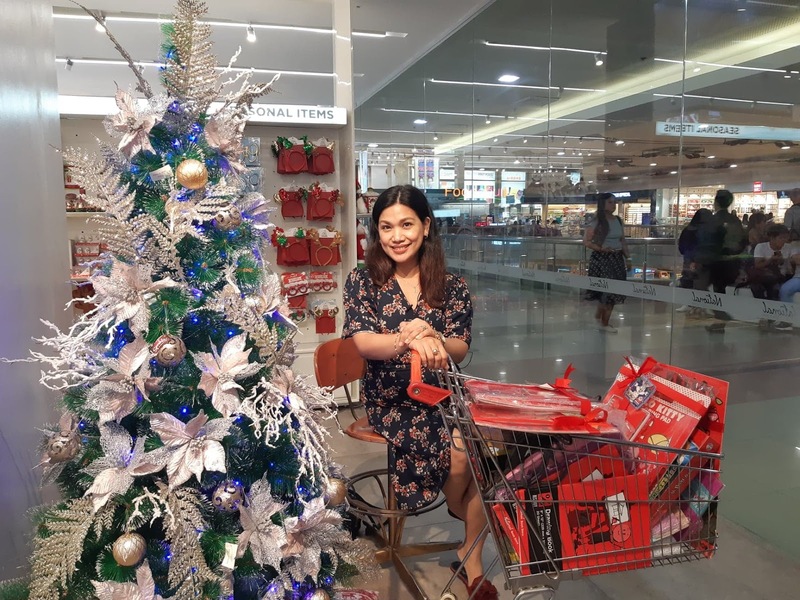 For your Christmas decors and setting the merriment ambiance for the home or office, you'll also find a variety in this area. In this zone, you can find 100 Great Gifts to Get for someone and get for yourself. It is a curated selection of products featuring exclusive items, collaborations, holiday specials, etc. Price points are from P100 to P1000. 1. Choose your wrapper (or a complete bundle). 2. Choose your washi tape. 1. Make a list of names, according to age groups, and even their interests. 2. Set a budget and buy something according to those you listed on itip #1. 3. Find some practical, functional, and useful items. 4. If you can personalize gifts, the better. 5. Make sure you give something you believe yourself or your kids would gladly receive if gifted the same. 6. Save time and energy by shopping early and in just one place. I found one in National Book Store. Surely, you can find a meaningful gift for almost everybody with varying interests and for all ages too! So there you have it my National Book Store Christmas shopping experience and finds. Visit a National Book Store near you (over 235 branches nationwide!) to do your meaningful Christmas gift shopping. You may also shop online or via call, to save you the hassle of going out when you're too busy or to save time from traffic so you may practically spend your precious time with more meaningful things. Go to www.nationalbookstore.com or call the delivery hotline 8888-NBS (627).